This year the event has positioned itself to be one of the most important culinary events in Mexico and Latin America thanks to its amazing lineup, which includes four chefs who together have received six Michelin stars. 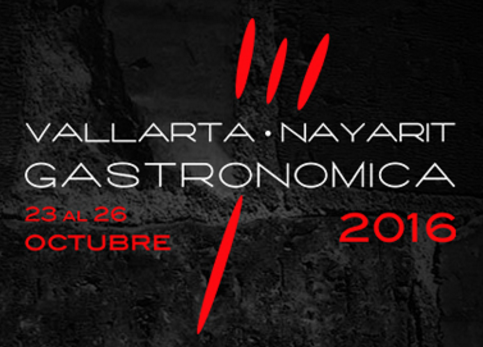 The 8th Vallarta-Nayarit Gastronómica is already cooking! This culinary event welcomes to the Riviera Nayarit and Puerto Vallarta some of the culinary world’s top chefs, sommeliers, speakers and exhibitors, both domestic and international. The festival takes place from October 23-26, 2016; the Hard Rock Hotel Vallarta in Nuevo Vallarta, Riviera Nayarit, will host the show cooking events, conferences, premium tastings and gourmet workshops. Organized by Grupo E-Consulting, the event has become one of the most important and well-established culinary festivals in Mexico and Latin America, thanks among other things to the presence of four chefs who together have received six Michelin stars: Chef Jordi Roca has three Michelin stars; Chefs Monste Estruch, Kisko García and Roberto Ruiz each have one Michelin star. There is also a list of approximately 40 national and international chefs, among them the Riviera Nayarit’s Culinary Ambassador, Chef Betty Vázquez, who is a judge on the reality show, Master Chef México. Spain will be the guest country this year, with seven renowned chefs from the Iberian Peninsula present at the event. Guanajuato will be the guest state for the third year in a row and will showcase its traditional gastronomy. For a look at the list of participating chefs and all the places in the Riviera Nayarit and Puerto Vallarta that will host the different events listed on the program for this year’s festival please visit http://vallartanayaritgastronomica.com/.